A plane is a 2D slice through 3D space, which can be thought of as a glass sheet. The anatomical planes are different lines used to divide the human body. 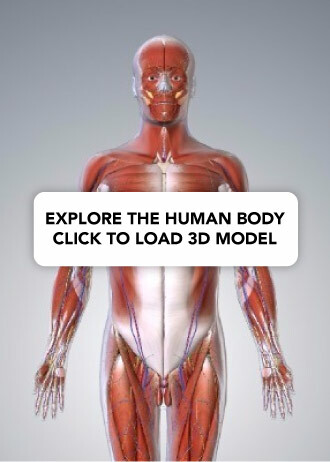 You will commonly see them when looking at anatomical models and prosections. Using anatomical planes allows for accurate description of a location, and also allows the reader to understand what a diagram or picture is trying to show. 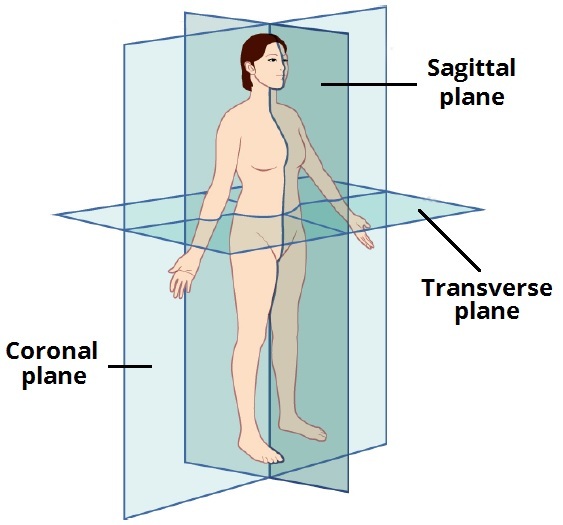 There are three planes commonly used; sagittal, coronal and transverse. Sagittal plane – a vertical line which divides the body into a left section and a right section. Coronal plane – a vertical line which divides the body into a front (anterior) section and back (posterior) section. Transverse plane – a horizontal line which divides the body into an upper (superior) section and a lower (inferior) section. For example, a diagram may be labelled as a transverse section, viewed superiorly. This indicates that you are looking downwards onto a horizontal section of the body. Fig 1 – The anatomical planes of the human body. Which plane divides the body into left and right? Which of the following is NOT an anatomical plane? Which of the following planes is a horizontal line through the body?